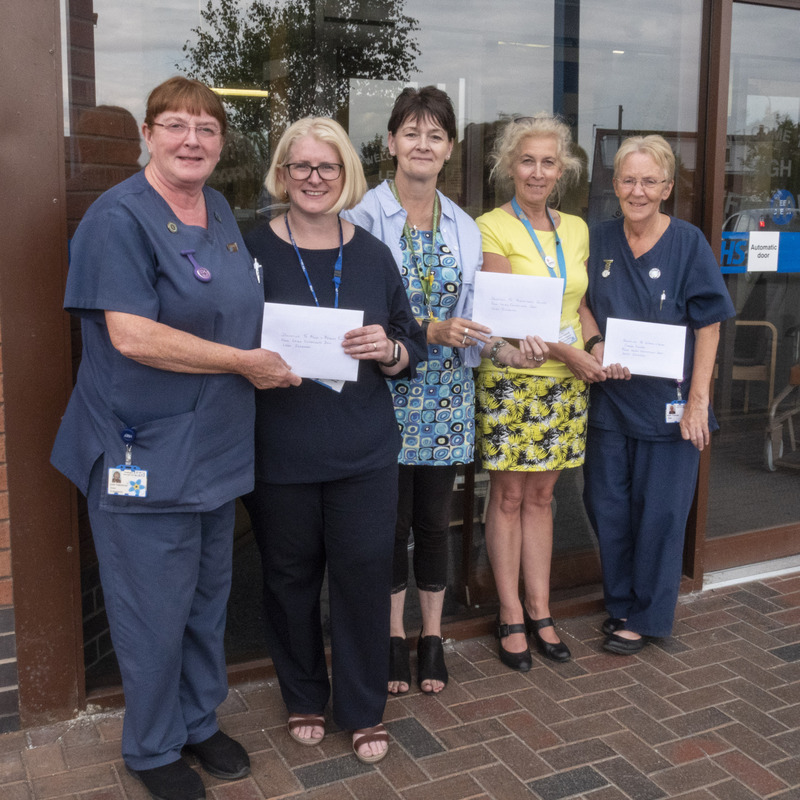 Thanks to the fundraising efforts of staff from Leigh Out-Patients Department, at Wrightington, Wigan and Leigh NHS Foundation Trust, an incredible £700 is to be split between three charities. Dementia Champions within the Trust arranged various events throughout Dementia Action Week that began on 21st May. Staff, patients and visitors alike were given the opportunity to write a memory on a heart and attach to a tree at Leigh Infirmary. Alongside this, information stands were held and bake sales offered homemade treats and cakes donated by local supermarkets staff who baked and Leigh Infirmary catering department. Sister Julie Nabokow from the Outpatients Department said: “Dementia is an illness that a lot of people live with and do not always know what support is available. All of the money raised will be split between the Alzheimer’s Society, the Wigan & Leigh Carers Centre, and the Trust’s own charity, Three Wishes. The donation to Alzheimer’s Society will be used to support their local cafes in the Wigan and Leigh Area. Barry Lyon, Local Service manager for the Alzheimer’s society, praised the staff and public for their generosity saying: “Thank you to everyone who raised this donation of £200 from WWL. “The effort and organisation to raise these sums goes above and beyond what is expected of people. Janet Pennington, Fundraising Manager for the Trust’s charity Three Wishes, accepted a £200 donation from the fundraising for the charity’s Minds and Memories Fund.